Every TSD Fire Exit door is individually designed and made to order with rapid turnaround guaranteed. The Tristan Specialist Doors Fire Exit range is suitable for a wide range of applications in industrial commercial and domestic situations. Our doors have been used to protect factory, warehouse and farm building entrances as well as the back entrances in major retail outlets, offices and domestic garages. It is available as a single, leaf and half and double doorset with a very large selection of options and extras so each door can be custom-made to customer requests. Engineered and tested to provide the ultimate protection at competitive prices. 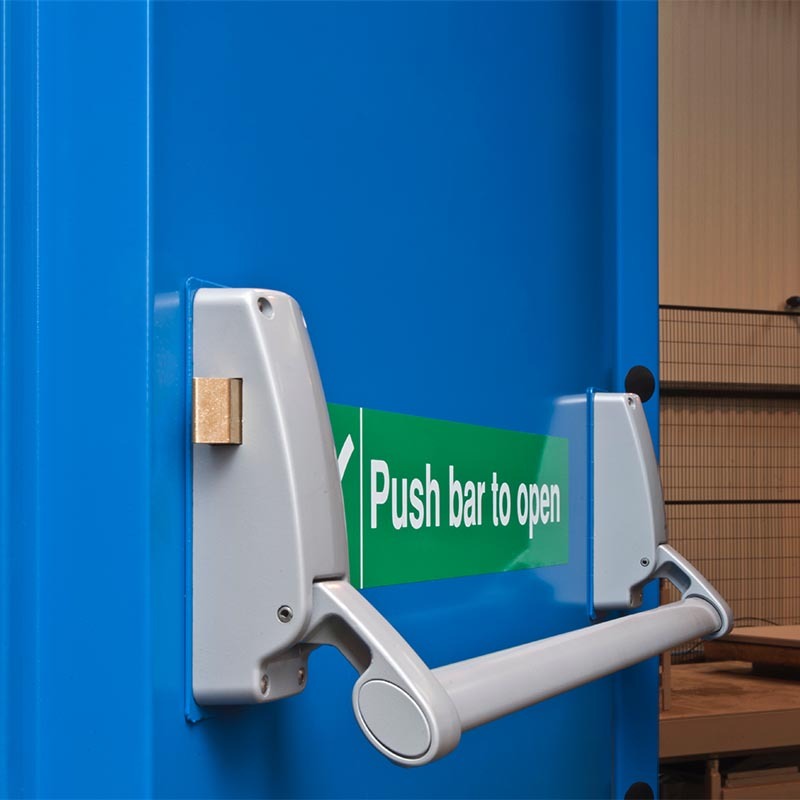 TSD Fire Exit Doors offers an unrivalled range of standard features that are included in the price. Choice of priming or powder coating in a wide choice of colours.